Previously, on the Train2Game blog, we reported rumours, that the next Xbox may have to always be connected to the internet. It seems, as time goes on, those rumours may be true. Microsoft analyst Paul Thurrot has revealed that Microsoft will reveal its next-generation Xbox at an event on 21st May and the console will launch in early November. Thurrot reiterated what was rumoured already – that previous Microsoft design documents have mentioned the “always internet connected” feature. Mr Thurrot also revealed the console will be named just “Xbox” and the Microsoft’s machine will be “expensive”. He estimated they will cost around $500 (roughly £326, although likely higher in the UK) but a lower price $300 (£195) model will also be available with some form of subscription. He also mentioned two other unannounced Xbox-branded machines. One, code-named “Yumo”, was to be an Xbox device purely for entertainment apps, rather than games. The product has seemingly been abandoned to avoid confusing consumers. The other machine is a new budget-priced Xbox 360 model, code-named “Stingray” which is due for release later this year and the device will cost just $99 (£65). 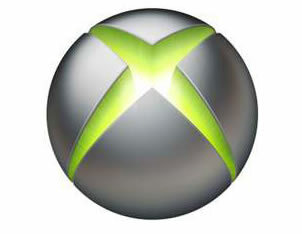 Thurrot suggested this may mean Microsoft’s new Xbox would not play Xbox 360 games. I would speculate, the choice to create a cheap 360 model would be there way of competing with Android consoles such as the Ouya and Gamestick. All eyes now look to May 21 in hopes of learning more about Microsoft’s next generation console. This entry was posted in 2, Developer, game, games, Microsoft, train, train 2 game, Train2Game and tagged 2, 720, Durango, game, games industry, Gamestick, Microsoft, next Xbox, OUYA, Paul Thurrot, Stingray, train, Train2Game, Video Games, xbox, Xbox 360, Xbox720, Yumo by Train2Game Blogger Team. Bookmark the permalink.